LG K10 2017 is here. Is this your next phone? LG K10 2017 becomes official; it's the higher-powered smartphones among the newly released 2017 LG K series. The smartphone was introducesd alongside the new LG K7 and K8 2017 which is now available in selected LG stores in the Philippines. 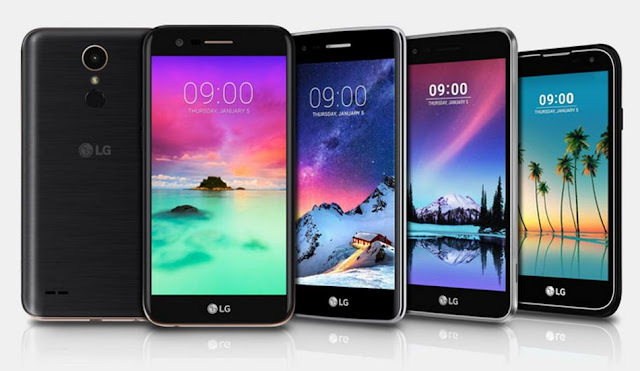 The LG K10 2017 packs premium-like features and a contemporary look in a very attractive price. The LG K10 2017 frames a 5.3-inch HD IPS LCD display with LG's innovative touchscreen experience. It also packs 2800 mAh of removable battery which allows you to swap whenever you need more power. The LG K10 2017 is nothing short in terms of performance; it ticks with MediaTek MT6750 SoC which features an octa-core 1.5GHz Cortex-A53 processor and Mali-T860MP2 GPU. The 2GB of RAM complements the fast processing speed of the handset as well as the 16GB native storage. Talking about the camera, the LG K10 2017 offers wider selfies which transcends into "groufies" using the the 5MP front shooter with 120-degree wide-angle lens.The rear camera is also very nifty with the 13MP sensor. The LG K10 is now available in LG stores and partner dealers nationwide at Php 8990.